Ages 8 and up. Sanity and Tallulah are best friends. Sanity has used her lab skills to create a definitely illegal three-headed kitten, but Princess Sparkle, Destroyer of Worlds, has escaped, and is wreaking havoc. Can the girls save the dilapidated space station they call home? An ominous call from his father, who then disappears, sends Ashton Collins into LA's dangerous Red Zone. If he can find the Street Freaks, the strangest of aid awaits - human and barely human alike. Ten years later, Darrow and the Rising are battling the remaining Gold loyalist forces, closer than ever to abolishing the caste system. But new foes will emerge from the shadows to threaten the imperfect victory they have earned. Promising young mage Aranthur is attending University to develop his abilities, until a confrontation forces him to display his skill with a blade. Sent to train with a Master of Swords, and then conscripted into the City Militia, he finds himself in the middle of a revolt, and forced to decide if he can live a life of cold-hearted commitment to the blade. 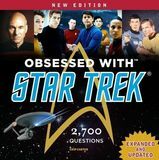 A quiz book with thousands of questions about the various TV series and films. Hoping to learn more about her bloodline, Ingrid makes her way to Hawaii, home of ancient earth goddess Madame Pele. What Ingrid discovers there is not what she expected - but may be just what she needs to face Blum. Collects the best of his supernatural tales. Stories of aliens on Earth. Ages 9 and up. Full color. Collects issues 1-6 of the comic book. Ayo and Aneka are young women recruited to become Dora Milaje, trained to protect the crown of Wakanda at all costs. Their first assignment will be to protect Queen Shuri - but what happens when your nation needs your hearts and minds, but you already gave them to each other? Meanwhile, former king T'Challa lies with bedfellows so dark, disgrace is inevitable. Plus, explore the true origins of the People's mysterious leader, Zenzi.